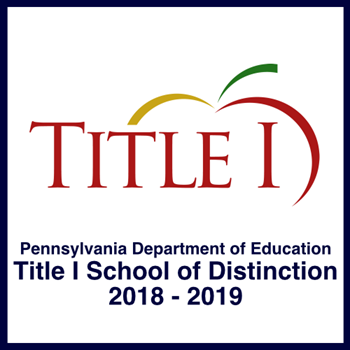 Todd Lane Elementary School received notification that we were selected as a Title I School of Distinction for 2018-2019 as a top performing school by the Pennsylvania Department of Education Division of Federal Programs. The designation is based on high achievement and high progress by scoring in the highest 5% amongst Title I schools in English Language Arts (ELA) proficiency, Math PSSA proficiency, and the Pennsylvania Value-Added Assessment System (PVAAS) Growth. Todd Lane will be recognized at the 2019 Title I Improving Schools' Performance Conference in Pittsburgh in January. Also, Todd Lane is 1 of 158 selected school in the State that are eligible to be named as a National Title I School of Distinction in Kansas City in February. Amy Abrams, Jennifer Unger, and Nikki Kondik are Title I teachers at Todd Lane Elementary School.